SOCIETY FOR CULTURE AND SOCIAL UPLIFTMENT is located in New Delhi Delhi . SOCIETY FOR CULTURE AND SOCIAL UPLIFTMENT is registered as a Society at Delhi of state Delhi with Ngo unique registration ID 'DL/2010/0027948' . 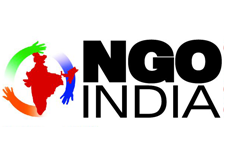 The NGO registration is done by Registrar of Societies with registration number S-55050 on the date of 03-03-2006, Its parent ORganaisation is PaulFoundation. The Chairman of SOCIETY FOR CULTURE AND SOCIAL UPLIFTMENT is Gurnam singh and Chief functionary officer is A P Swamy. The society is engaged in the field of Culture, Rural development, Health, Education, Sports, Agriculture, Woman & Child development,Lobour, HRD etc.